Fish n’ Chips, the Spice Girls and Mr. Blobby…? Wow! That was a fabulous evening. 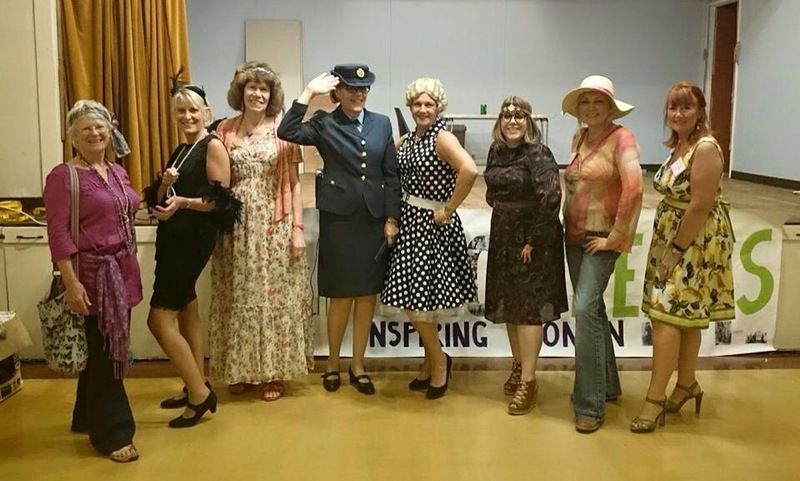 And amazing to see the effort so many Belles had gone to in dressing up. 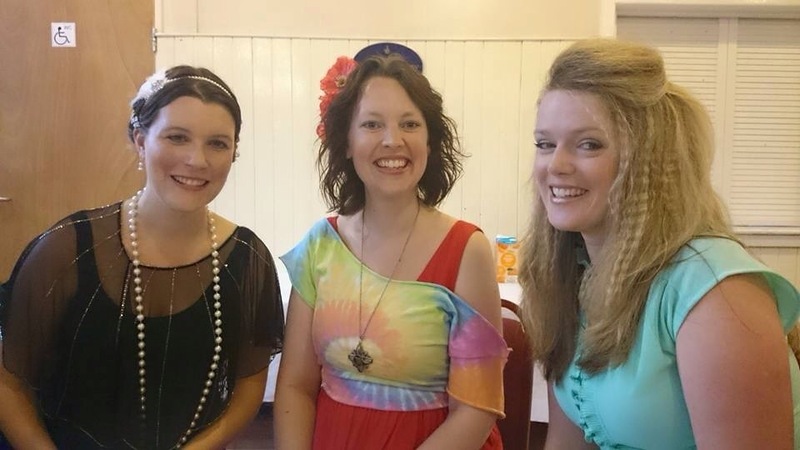 We had the whole lot: suffragette, flapper, rockabilly, Mary Quant, hippie chic, Madonna and more! 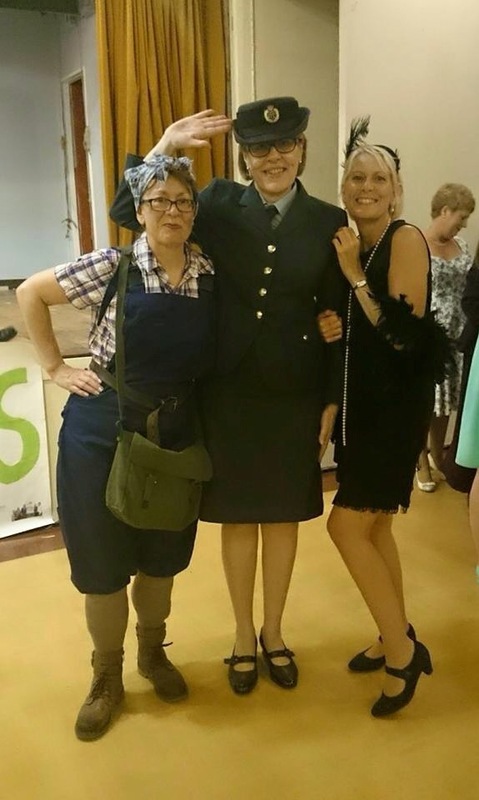 Well done to Catherine, Sue and Tricia for winning some Challenge Cup points as the best dressed – well deserved! The scrumptious fish and chips went down well and it was great to hear from Kirsten how the AGM had gone. And then there was the brilliant Ray Spillar with his jokes (I think the baby, the doctor and the grandma got the biggest laugh!) and his amazing music. And, he got us up and dancing which is no mean feat! 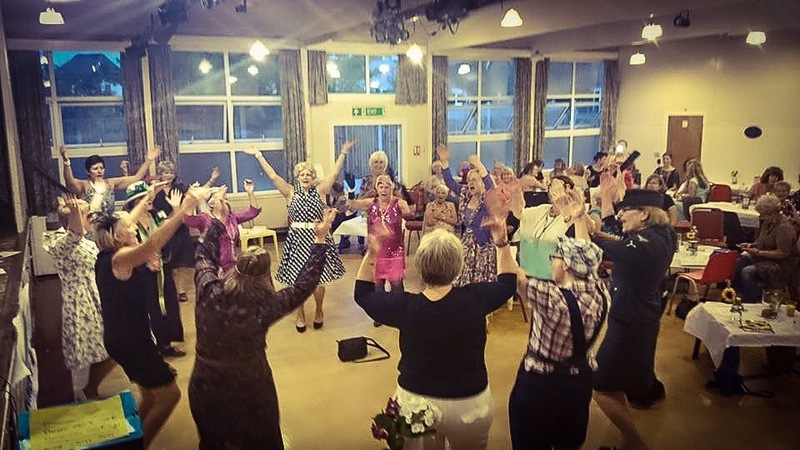 Though dancing The Twist, The Locomotion and Y.M.C.A. whilst wearing nylon was a wee bit warm to say the least! A big thank you to the team who pull this all together, our lovely committee. They worked extra hard tonight and it really paid off. So, no meeting in August but get ready for our Centenary Celebrations Part Two in September! It’s hats next time! Have a fantabulous summer Belles!